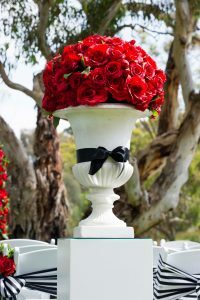 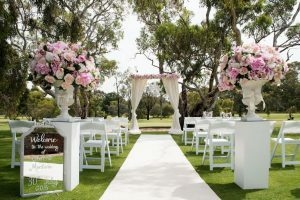 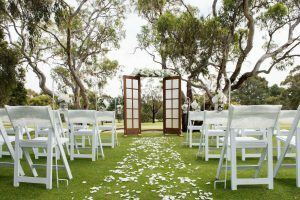 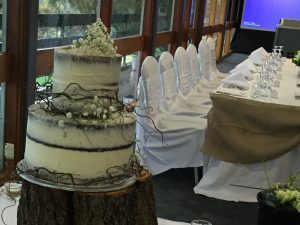 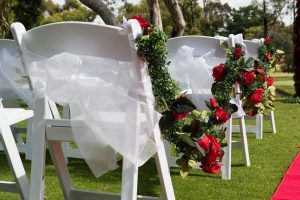 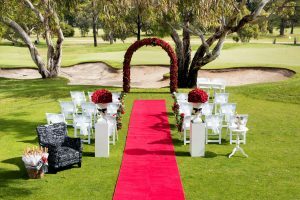 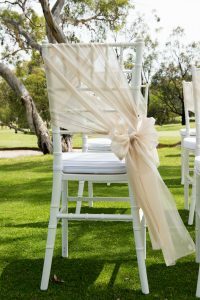 The Tea Tree Gully Golf Club is the ideal venue for your special day with superb views creating a pleasant and relaxing atmosphere. 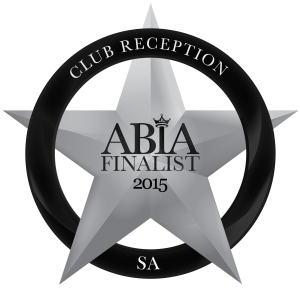 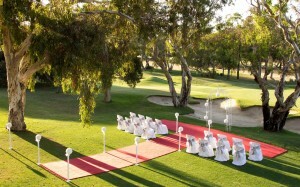 Enjoy a unique experience at one of Adelaide’s leading Golf Clubs. 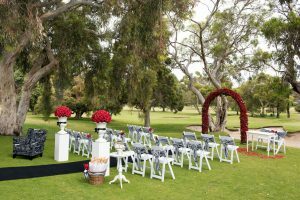 As the day turns to night, be dazzled by the lights from the surrounding hills, balcony and lighting over the first Tee.The function room accommodates up to 250 people with dance floor & bar. 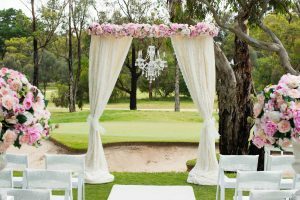 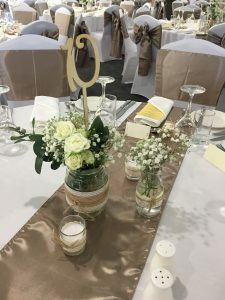 Decorations include floor length white tulle on the head and cake table, ceiling drapes, fairy lights, white chair covers with a colour sash to match your theme, 100 helium balloons over the dance floor, candelabras, fresh flowers, & printed specialty menus. 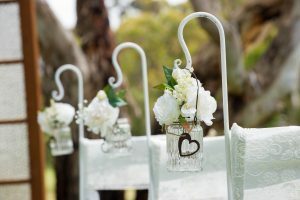 Have your guests leave wondering why they have never been here before. 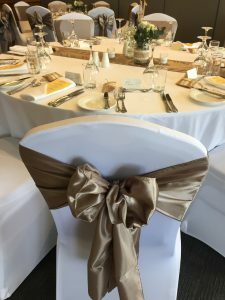 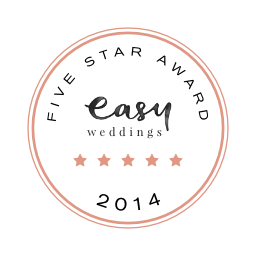 Sunday Wedding bookings 5% discount available for all new Sunday bookings. 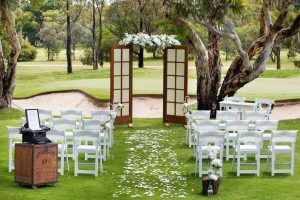 Start your beautiful wedding day with a ceremony on course. 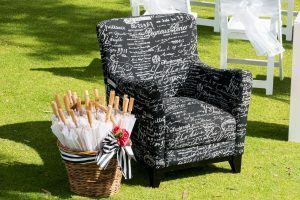 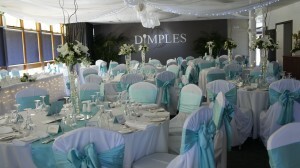 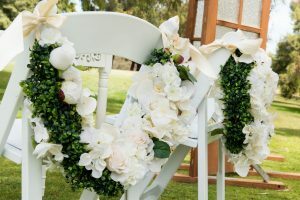 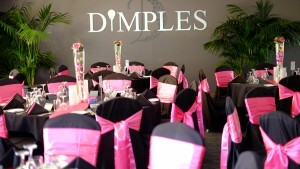 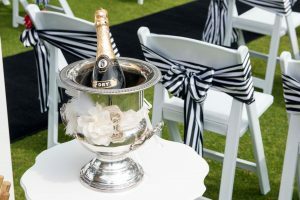 Ceremonies can be included in your package or you can outsource and decorate to your exact dreams. 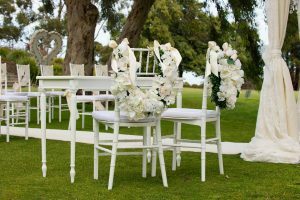 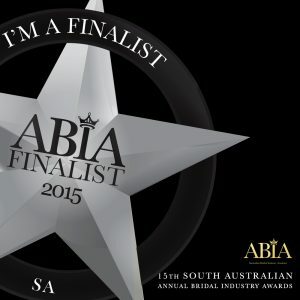 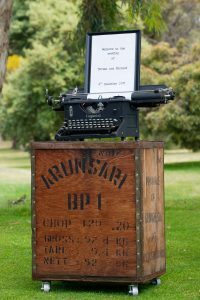 Take a look at some of our wonderful suppliers.